Is your workplace prepared for a medical emergency? After first aid kits, AEDs are becoming the standard of care to help protect staff and visitors in the event of cardiac arrest. "Although SCA is a leading cause of death in the United States, it is not currently addressed in an OSHA standard. This oversight can leave safety managers unprepared if an employee is stricken with SCA in the workplace." A quote from an article written by the National Safety Council, Click Here to read the full article. 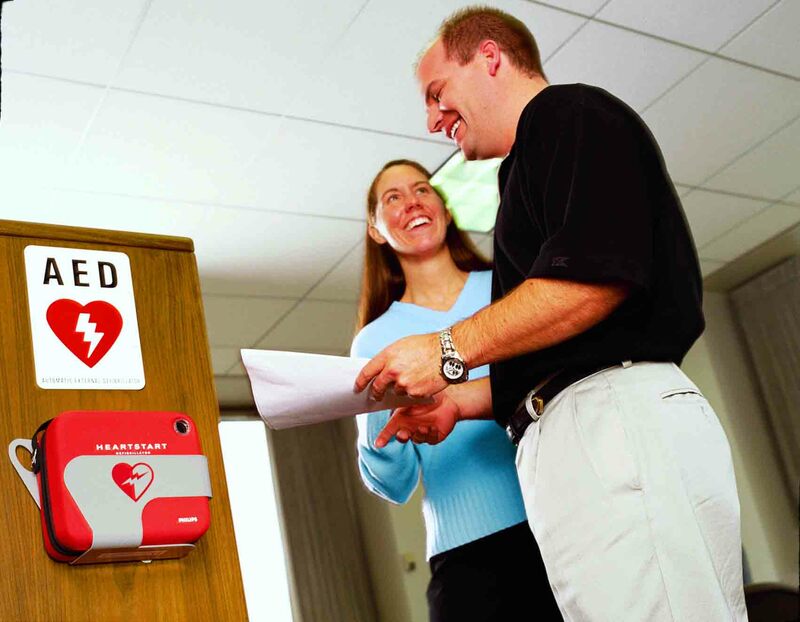 Altra Medical can assist your business in selecting the right AED for your application, as well as provide training. If you have an existing program we can provide cost competitive replacement supplies and help you be sure your AED is up to date. Contact us to discuss. Visit How to Select An AED for a checklist of key points to consider. Initial purchase price isn't the only factor. Also download our AED cost of Ownership and AED Comparison spreadsheets so that you see the whole picture. Some AEDs are less expensive initially, but may have a shorter life and may have more expensive batteries, so your longer term cost of ownership is higher. We also offer an AED Selection Tool to help you determine which AED is right for your organization. Make sure to check out our AED Packages for Businesses page as well. An American Heart Association HeartSaver CPR/AED program, ASHI, Red Cross or other equivalent program is recommended for staff every two years. Altra Medical can provide classes at your location through our staff of instructors or affiliates in every state in the U.S. We have many national clients. An AED should be checked periodically to be sure it is ready for use. In general it is once per month, but each manufacturer has their own recommendations, and it also depends on where your AED is and whether someone will hear it chirp when batteries go low or it fails a self test. We can even offer SmartLink a new program exclusively for the Philips OnSite and FRx AEDs that monitors your AED to be sure that it is ready when needed. If it needs attention you (or several people) will get an email that it needs attention. A business or office building might not be the first place a person might think would be a necessary spot for an emergency response kit, but places of business are just as vulnerable to accidents and fatalities as public venues. There are thousands of workplace fatalities each year and millions of injuries. 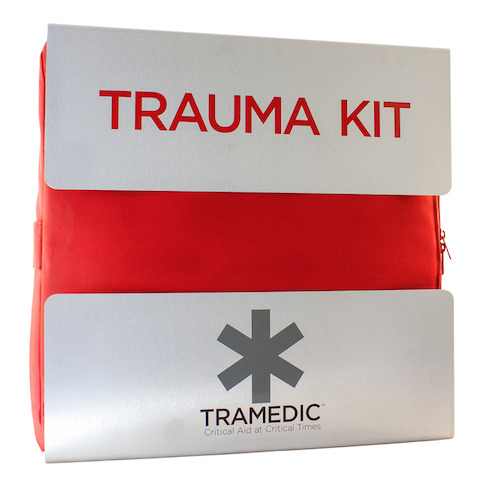 Tramedic® trauma kits contain the supplies needed to treat a variety of injuries and the instructions are easy to follow. Tramedic® also includes licenses to their training portal, where videos detail the components of each sub kit. Access to the training site allows facility training managers to assign videos to personnel and staff as well as track their progress.